During our visit to Lisbon, we met Hernani, a bicyle tourist at heart but also a good cook . 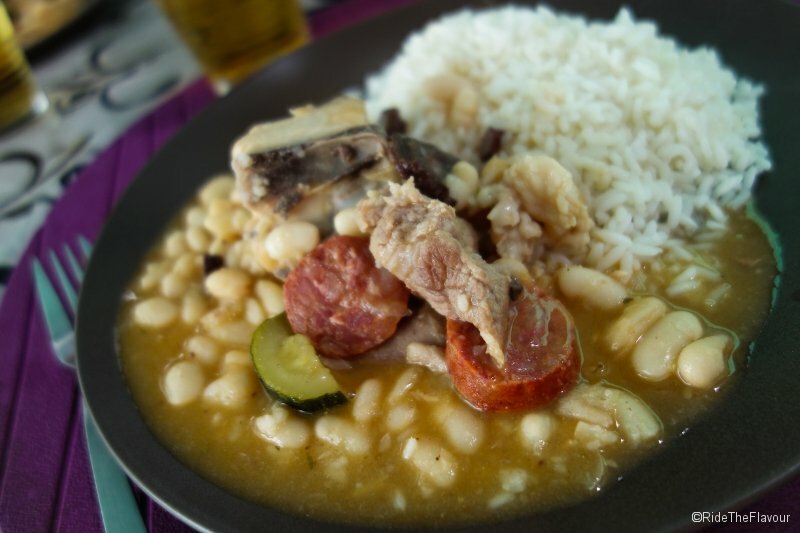 We discovered with him the recipe of a very popular dish in Portugal: Feijoada. 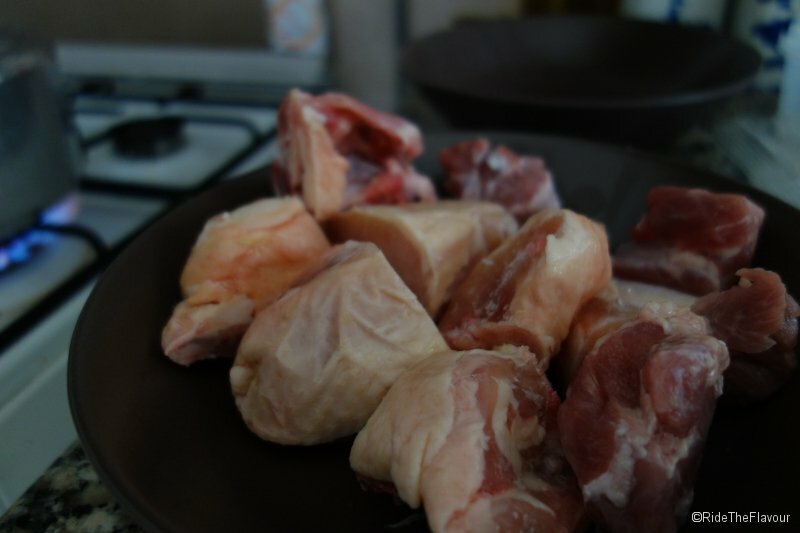 1) Cook the pork in salted water for about 20 minutes in order to soften and extract the flavors of the bones. 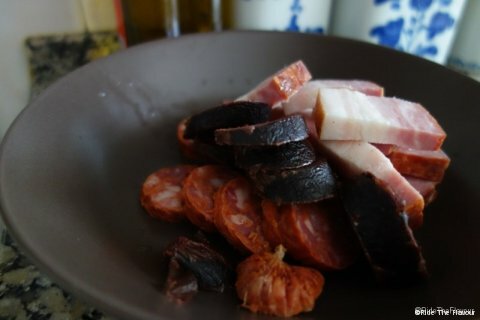 2 ) Meanwhile, cut the chorizo ​​( red and black), sliced​​, chicken and bacon into pieces, onions and garlic in small cubes and zucchini into cubes. 3 ) In a stew pot, pour olive oil and let it heat over high fire. 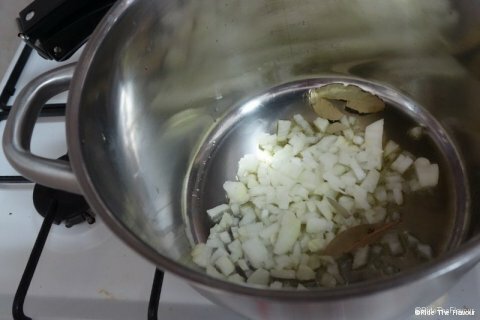 Add the onions, the garlic and the laurel leaves until the onion turns brown then pour a glass of white wine. 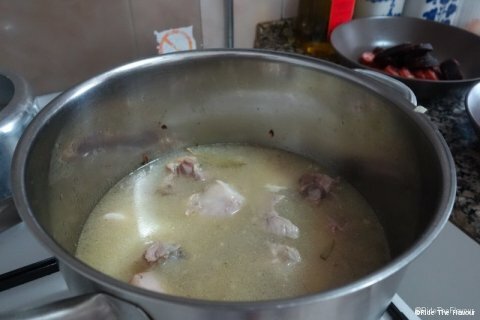 4) Put the chicken and bacon and let them get lightly brown. Then add the pork with its cooking water and add water so that the whole is covered. 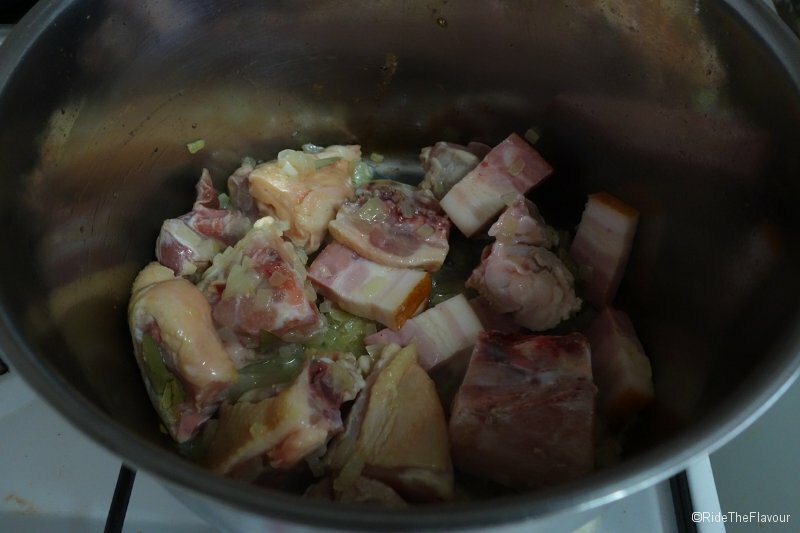 5 ) Add the stock cube, cover and cook at a boil for 15 minutes, stirring occasionally. 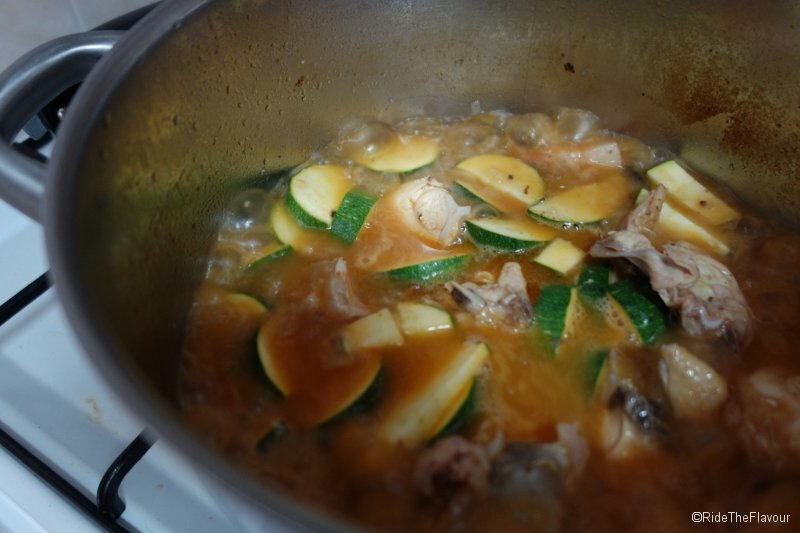 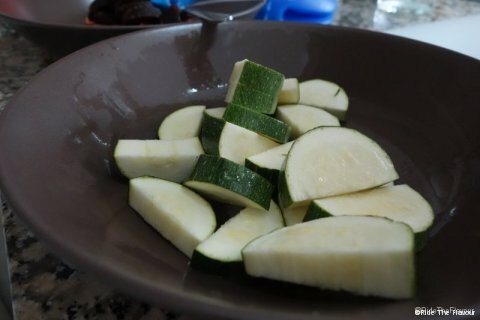 6) Add the chorizo ​​and zucchini and cook for 10 minutes. Then add the beans ( with the juice ) and cook it for 15 minutes . 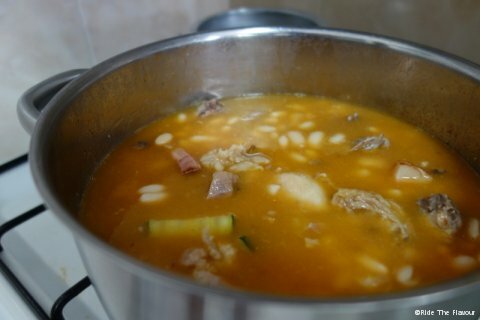 And now it’s ready! We recommend you to serve this Feijoada with white rice to fully appreciate the flavors of the sauce. Thank you Hernani for your hospitality and for making us discover this recipe. 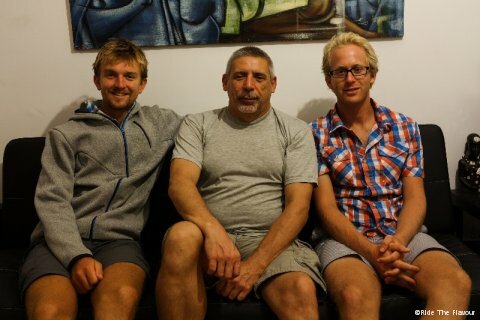 We wish you good luck for your future 8 year-bike trip.